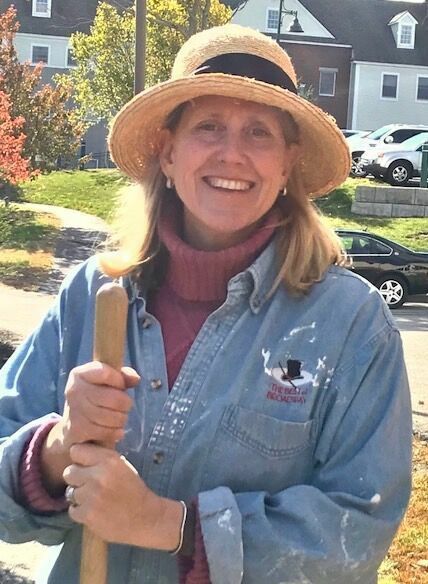 Amy Sinclair, mom of 7th grader, Zach, had a wonderful memory of a tulip garden that Zach and his classmates planted at ROWE school when they were first graders. Noticing that the garden needed a re-fresh, Amy created the plan for Project Rainbow! 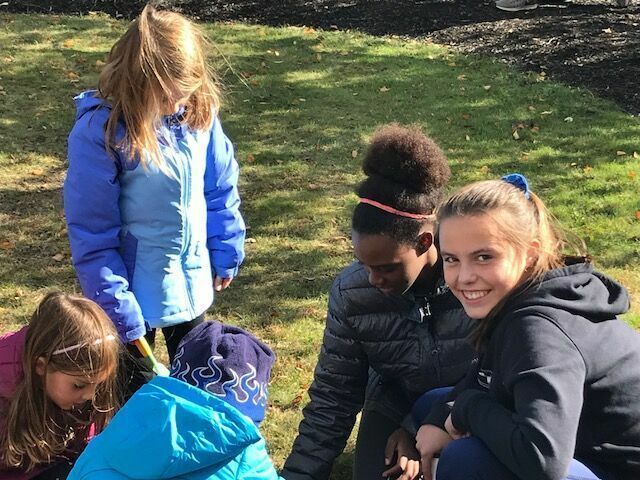 With the help of the educators and students from HMS and ROWE, Amy devised a beautiful opportunity for the 7th grade students and first grade students to interact. 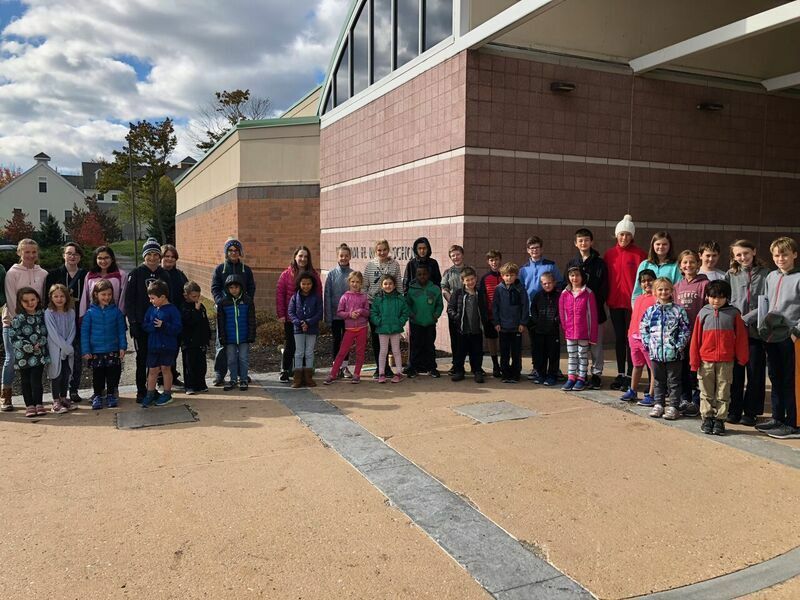 The HMS students traveled to ROWE on October 25. The two grades of students shared their favorite books with each other, then planted a new tulip garden together! 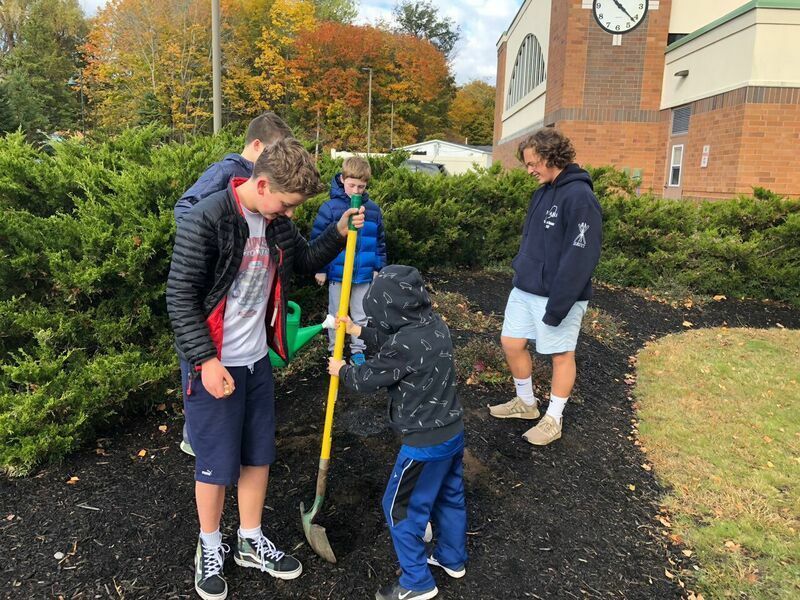 A huge THANK YOU to Amy and everyone at ROWE and HMS for the wonderful experience, which allowed our students to play together and plant together! It was exciting to see the interest and investment of the ROWE students in this project, and to watch our 7th graders in the role of mentors/guides as they supported their new friends. We are so appreciative of Amy's outreach about this opportunity and we are looking forward to seeing the beautiful flowers that will bloom as a result! Thank you to Estabrooks for their generous donation of the bulbs, which made this partnership between the two schools possible!